How to install Android 4.4 Kitkat on PC Android is one of the Most Popular Platform which is most widely used by Smartphones. So Today I will show you How to Install Android Operating System on your Computer for Windows, Mac, Linux and Solaris. To Install Android operating system you need to have Framework and operating system. So here I am Using Virtual Machine from Oracle as a Framework and Android operating system is installed over that framework. NOTE :- Extract Android 4.4 ( Kitkat ) and double-click on VMLite-Android-v4.4.vbox and and click on start to install android on computer. STEP2 :- Click on Next and write the name as “Android 4.4 Kitkat” and select your Operating System as Windows and it’s version which you are currently using. STEP3 :- Select your Appropriate Memory for your device, 512MB is sufficient for an Android running on a VirtualBox. STEP4 :- Now Select Create New Hard Disk and Click on Next. STEP5 :- It will be showing virtual disk creation wizard, Now Select VDI (VirtualBox Disk Image) and click Next. STEP6 :- Select Size of Hard Disk and click next, select the size to 1GB and Click on Create. STEP7 :- Now go to setting and Select storage and in the storage tree select empty and select the CD/DVD icon from the Attributes section. STEP8 :- Select your downloaded Android 4.4 (Kitkat) ISO file Path, Select it and click open. STEP9 :- Now Click on Start Button and it will open Android Boot screen. STEP10 :- Select Installation Android 4.4 (Kitkat) to Hard Disk if you want to Install Android OS permanently or If you just want to try Android 4.4 OS then Select Run Android x86 without Installation. STEP11 :- If You want to Install Android OS permanently, Select Create/Modify Partition. STEP12 :- Select the New, to create a new partition. STEP13 :- Make it Bootable and then Write and Select Quit. 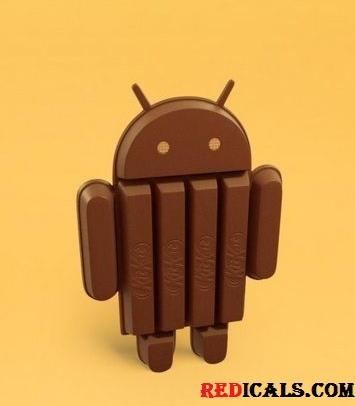 Now You have been successfully Installed with Android Latest version Android 4.4 (Kitkat). If you have any problem in installation please comment below with your problem. Sorry Wasim 4.4 is not officially Launched…..
Use your Mouse for touchscreen..
Hi, at step 2 it sais select your Operating System as Windows and it’s version which you are currently using. I am running VirtualBox on Linux Ubuntu. What do I have to choose there? Just download Android 4.4 Kitkat Properly……if it’s not getting boot then it’s package problem..
after installing kitkat 4.4.2 on pc permanently, then after restarting will window or android kitkat or both will show? will i have dual boot opportunity? please clear this doubt. i will be very thankful to you for this. can i also transfer my files from perdrive to file manager of android? can i uninstall android after installing it? I think Your Hard disk is full, Just Remove some files from your Hard disk and try to install it again. It’s same as you Install OS on your computer, no need to install any drivers. Just Try to Reinstall it. how to reinstall KitKat os on my Micromax a190?